Infection is a common concern following a dog bite attack. According to the American Academy of Pediatrics, between 10 to 15 percent of dog bite victims will experience an infection as a complication of the healing process. Dog bite infections are generally caused by bacteria from the animal's mouth or saliva entering a wound. However, bacteria from the environment can also create a potential for infection following a dog bite attack. Bites that don't break the skin carry no risk of infection and a scrape or scratch that only grazes the skin has minimal risk of becoming infected. Cuts, lacerations, and puncture wounds carry the highest risk of infection. There is some research that suggests wounds on the toes and fingers are more likely to become infected than bites in other areas. This could be attributed to the difficulty in keeping the wound clean and appropriately covered. People who already have a weakened immune system due to a chronic condition such as diabetes or kidney problems face an increased risk of dog bite infection. Group A Streptococcus: Causing symptoms similar to the flu, this infection can lead to seizures or permanent skin loss if left untreated. Staphylococcus Aureus (Staph): Mild cases cause minimal problems, but a staph infection can be fatal if left untreated. Staph infections can also lead to an infection of the bloodstream known as sepsis. Pasteurella: Blood clots, joint or tendon damage, and meningitis are some of the complications associated with this dog bite infection. Rabies: Affecting the spinal cord and brain, rabies can be fatal if left untreated. Fortunately, mandatory vaccination laws for domestic animals have greatly reduced the risk of developing rabies from a dog bite within the United States. Bats, raccoons, skunks, foxes, and coyotes are all significantly more likely to have rabies than a domesticated dog. If your dog bite doesn't require a trip to the emergency room for stitches, first aid at home can help reduce the risk of infection. Place a clean towel over the wound to stop the bleeding. Wash the area with soap and water, apply a sterile bandage, and use antibiotic ointment every day to prevent infection. If the skin can not be pulled together because the laceration is too large, make sure you have the wound stitched up to improve the healing process and reduce the scaring. Although the signs of an infected dog bite can overlap with other medical conditions, it's best to be cautious and pay your doctor a visit if you notice any unusual symptoms. The earlier an infection is treated, the more likely you will have a full recovery. If your doctor suspects that your bite has become infected, you will likely be prescribed antibiotics. In most cases, treatment lasts five to ten days. IV antibiotics are usually only required in the case of a severe infection. An infected dog bite can result in significant medical costs. You're entitled to seek compensation for all expenses related to the attack, including lost wages if you were unable to work while recovering from your injury. Pain and suffering compensation is typically included in a dog bite claim and is dependent on the severity of the injury, the location of the bite injury, nerve damage, and the likelihood of scaring. In cases where the dog was owned by a homeowner, a dog bite claim is paid from the homeowner's insurance, if coverage has not been excluded. Some renters who own dogs secure renter's insurance policies in advance of their dog biting another person. 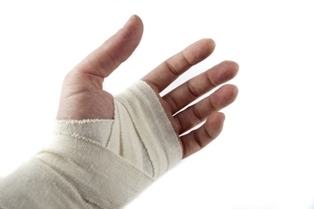 Some of these policies have some limited coverage for injuries caused by their animal. However, dealing with insurance companies can be challenging, time-consuming, stressful and frustrating. Hiring a dog bite injury lawyer to handle your claim ensures you'll be able to protect your right to compensation while being free to focus on moving forward with your life and on your recovery. The legal team at the Inland Empire Law Group has extensive experience helping California residents resolve their dog bite claims, but you must act quickly due to the state’s statute of limitations. Please call 909-481-0100 to schedule a free, no-obligation case review. 1Steps to Take Immediately after the Attack 2An Introduction to California Dog Bite Laws 3How Do I Find Out if the Dog Owner Has Insurance? 4How Long Do I Have to File a Suit? 5Does It Matter If I Was on Public or Private Property? I was taken well care of and was always updated with new information on my case. Maria V.
?Can you still collect compensation for a dog bite if you were trespassing? ?Can you still receive compensation in a dog bite attack if the animal was provoked?